That time of year has come where Amsterdam is covered in lights and Christmas spirit. December and summer are my favourite times to be in Amsterdam. When the sun shines the city has that chill vibe where everyone is relaxing in Vondelpark and you see flowers around the canals. In December it can be cold, but the lights, the ice rank on Museum Square and Christmas trees make up for it. 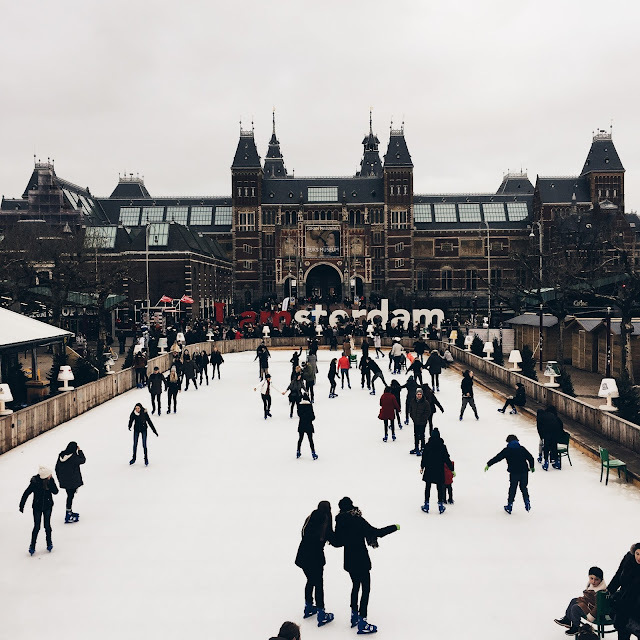 Since it’s that time of year I decided to put up my top 4 of most Christmassy Instagram spots in Amsterdam in a blog post. Hope you like it! One of the most Christmassy places in the city. I have to admit it's quite touristy, but when you forget about all that it's the best place to get festive. 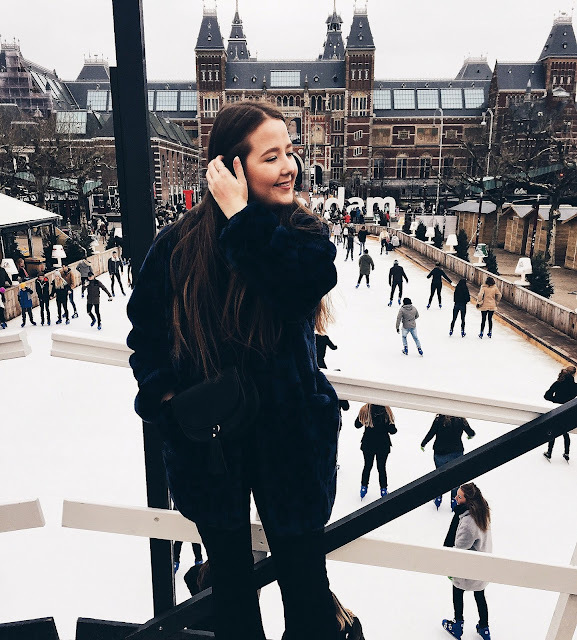 There is a huge ice rink there -you can drink hot cocoa as well if you are like Bambi on the ice, aka me- and a cute bridge where you can take the most instagramable pics. It can be busy with people taking snaps but wait your turn and you'll have the most amazing Amsterdam photo with the IAmsterdam sign and Rijksmuseum in the background! 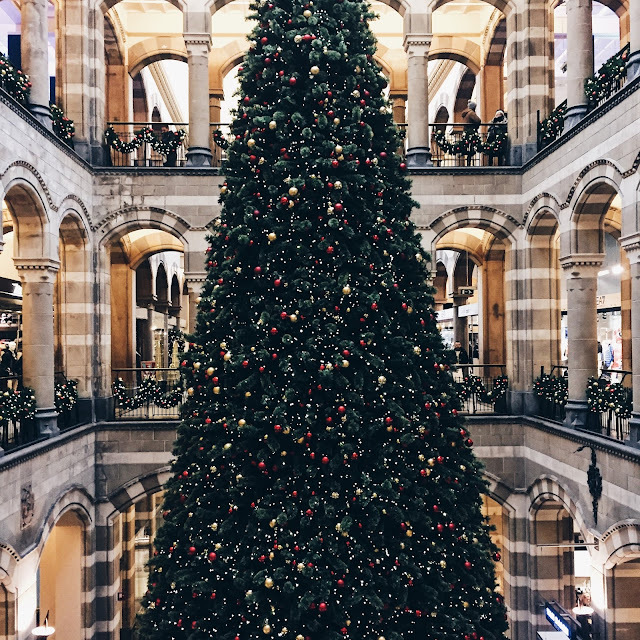 The biggest department store in Amsterdam -it's similar to Harrods in London- and they have the most amazing window display and festive lights on the sides of the building. Rokin -the street where it's located- in general gets very festive around that time of the year. With so many sparkly lights everywhere and a tree on Dam Square it's hard not to get in the festive mood. A gorgeous shopping centre that I actually never visit. It's right behind Dam square and around the festive time they have this huge floating Christmas tree in the middle. It's amazing to have a bit of a wander and take a few snaps whilst you're there. Nothing says Christmas like a mega Christmas tree. The canals in Amsterdam are good all year round but in winter they are even more festive with jazzy lights. I don't have one specific canal where I usually take my pics, so my advice would be to walk around the Nine Streets and see what you'll find. Those were all the spots. Not that many, but when you are in Amsterdam for the weekend or a day, it's good enough. 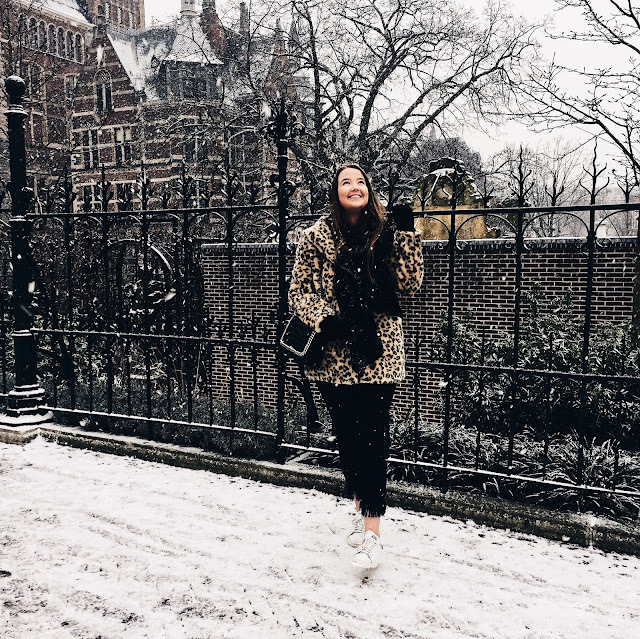 When it's snowing in Amsterdam the city is even more magical. Do take your pics as quick as possible though, because the snow will turn into grey mush fast. I mean it's all fun and games until you fall flat on your face with your bike. Want more Instagram spots? See my London house edition here! 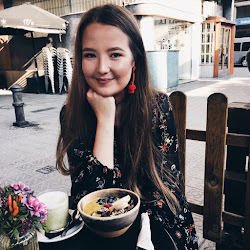 Or when you fancy a bite to eat in Amsterdam, I put up my 5 favourite brunch spots in the city here! I'm obsessed with your blog at the mo, lovely! Your photography and imagery is so, so beautiful. I love it.